Whether you’re running a 5K fun run or a blood, sweat and tears ultra, you find two kinds of lines at the end of nearly every event in Colorado. One is the finisher’s stripe … the other is the line at the beer tent. No surprise that Colorado has joined at least 10 other states in sponsoring statewide running series centered on local breweries. 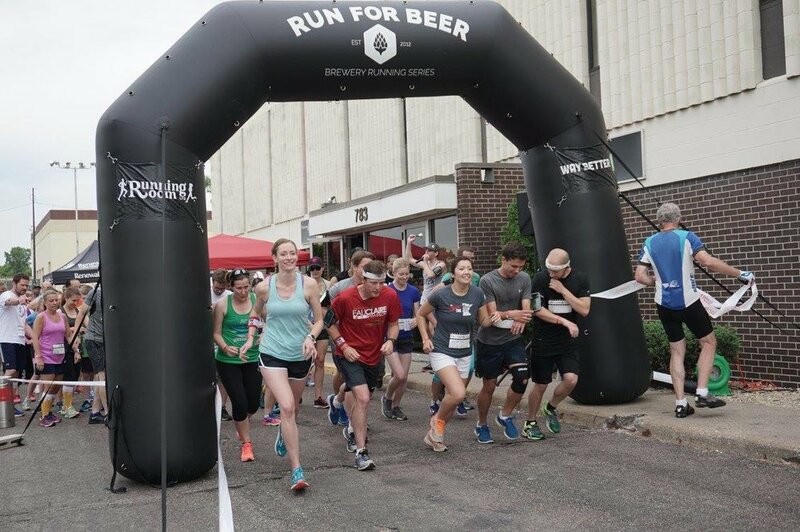 Now in its fourth year, the Colorado Brewery Running Series is comprised of weekly 5Ks (3.1 miles) that start and finish at some of Colorado’s most celebrated craft brewers. Each event benefits local charities and serves as a showcase for local sponsors. This year’s series kicks off Saturday, Feb. 16, with the CBRS’s own brewery festival Runderbrew Event at Number 38 in the River North Arts District (RiNo) at 1 p.m.
THIRST COLORADO: Beer tents and running events go together like PB&J in Colorado. What is it about Colorado Brewery Running Series that makes it different than just a run-of-the-mill 5K with a tent at the end? BRADY ARCHER: The big thing we like to focus on is our motto, which is “Be active. Have fun. Give back.” So, unlike typical 5Ks, we are a fun run. We are not timed. We are not competitive. We look primarily for the weekend warrior-type who wants to come out, check out a new brewery, have some fun, and give back to the local community. Ten percent of all our proceeds go back to local Colorado non-profits. We work with a variety of non-profits, including in-house brewery non-profits like the Left Hand Brewing Foundation, or Oskar Blues’ CANN’D AID Foundation. But we also work with a lot of other ones as well. You are coming out, having fun, and giving back to the local community. TC: How did you get started with these events? BA: Brewery Running Series started as a company and a concept in Minnesota in 2012. They expanded to Colorado in 2016. I came from Tough Mudder, but I am a Colorado native. I got connected through happenstance to the people who were starting the Brewery Running Series in 2017. I helped them produce 17 events that year and then at the end of the year took over ownership of the Colorado program for 2018. TC: What do you hear from folks about what they love most about the series? BA: Most participants love checking out new breweries. We have a wide array of breweries, size wise. We give them a reason to check out a new brewery and run through a neighborhood that may not have otherwise occurred to them. We lay out a course that is special about that vicinity: paths, trails, parks, etc. They’re untimed, so it’s just about having a good time, not necessarily a personal best finish. When you do finish, there’s great beer and live music, sponsors, food trucks, and lots of fun waiting for you. TC: What new things are “on tap” for this new season of the Colorado Brewery Running Series? BA: A few new breweries. We’ve added some hotspots. And we’re always asking runners, ‘Hey, what breweries should we add next year?’ We’ll be in Fort Collins, in Boulder, Leadville and more. We’ll be branding a lot more of events in a themed way. We’ll have Cinco De Mayo 5Ks, an Oktoberfest 5K. And a Thanksgiving 5K at Grandma’s House brewing. What’s cooler than that? A 5K on Thanksgiving at Grandma’s House? TC: What has the reception been? For seasoned runners and maybe people new to 5Ks? BA: I love to ask at the beginning how many people are here at this brewery for the first time and we’ll usually get about half. And then how many is this their first Brewery Running Series event, and then again, it’s about half. And who’s running their first 5k. We usually get a lot of hands there. So, we’re bringing a lot of new faces to the brewery, a lot of new faces event over event, and encouraging a lot of people to get off the couch. The fact that there is a beer at the end is a great incentive for those first-timers! We get a lot of comments about the feel of comradery and non-competitiveness at the events. We see people get stronger and faster over the season for those folks who are season pass holders or who come event to event. TC: Was there a favorite event you did last season that you either heard good things about or enjoyed personally? BA: We did an event at Snowmass at the New Belgium Ranger Station on the Snowmass Mall and we could run 5K up and down some ski trails and bike trails. Beautiful and scenic, albeit a tough, run. We love hosting events in the mountains. We’ll be in Snowmass again. We’ll be in Leadville and Idaho Springs. I like adding in more look-and-feel events and keeping it fresh. TC: What music acts can people look forward to this season? BA: Yeah! We love having fun vibes at the events. We have solo acts up to five-piece bands. We look for bands that will play favorites and will mesh with the vibe of our crowd. We get country mixed in there. Blues, rock, pop. Stuff that people who just ran a 5K and are down with drinking a few beers would want to listen to. TC: All of your events benefit charitable causes. You mentioned a few already, but what groups are CBRS beneficiaries? BA: There’s one called the Range of Motion Project, or ROMP. They help with providing prosthetics limbs to amputees here in Colorado, and countries in South America and Central America, as well. So, they fit people with these prosthetics and then, through a series of events that they host themselves, they will take these people on adventures up 14,000-foot peaks. They host trips to Ecuador to climb mountains. Being able to help that cause and aid with helping amputees get more active and out there is really exciting to see and resonates with our athletes at our events. They will be the main beneficiary of our kickoff event Runderbrew on Feb. 16 in RiNo. TC: You also have a lot of great sponsorship for these events. What would you like to say about your sponsors? BA: We typically get between five and 10 sponsors per event. We prefer to work with small local businesses to give them a venue for showcasing what they do. What they do, why they do it, how they can get involved. Our sponsors are great in that they will almost always have a giveaway or raffle or whatever which keeps people around, too. 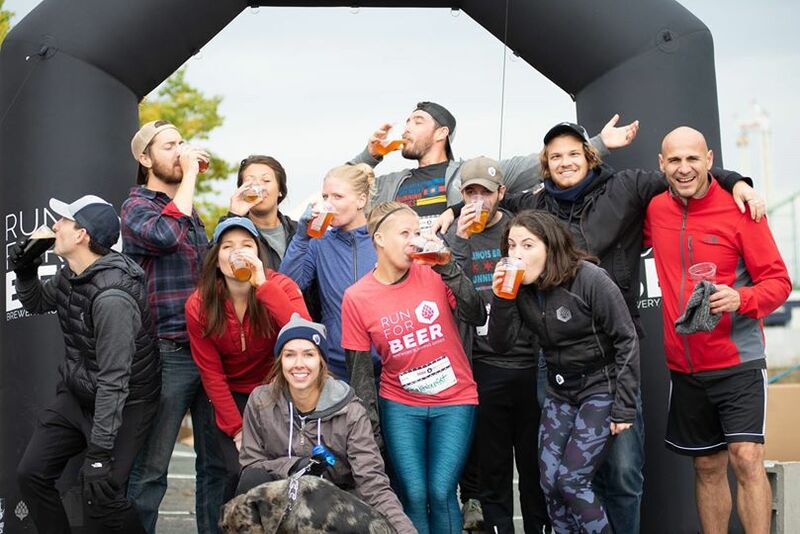 To find out more about the Colorado Brewery Running Series, or to register for events, visit Colorado Brewery Running Series or visit their Facebook page.